We keep a sizeable stock of various types and thickness’s of Plywood, including, Shuttering, Spruce and Hardwood. We also stock various thickness’s of OSB board and T&G Chipboard Flooring. Exterior grade plywood available in a range of thickness and can be used in exterior and interior applications, all boards are made from good quality timber supplied in 8′ x 4′ sheet sizes. Hardwood Plywood is a wood-based panel product consisting of layers of veneers glued together, with the direction of the grain in adjacent layers usually at right angles, strong and durable has a variety of uses from roofing and flooring to hoarding and walling. Exterior grade plywood (WBP – Weather and Boil Proof) is specially made using a water-resistant adhesive to withstand a certain amount of moisture and can be used for outdoor constructions – sheds etc. and is sometimes used as a cladding material, particularly for insert panels under windows. WBP does require additional protection (paint or varnish) to protect the outer veneer. Can also be used for the construction of boxes for pouring concrete. 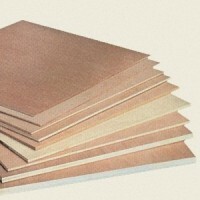 MDF (medium density fibre-board) is used for furniture, cabinetry, interior joinery, and wall linings. WBP Wisa Spruce Ply, a higher grade plywood with smooth veneer, suitable for carpentry and other uses where you would use regular plywood. T&G Chipboard flooring, moisture resistant with a Tongue and Groove joint on all four sides. Useful for a wide range of flooring applications.